Definition at line 153 of file CCopasiTask.h. Definition at line 437 of file CCopasiTask.cpp. Definition at line 441 of file CCopasiTask.cpp. Definition at line 446 of file CCopasiTask.cpp. 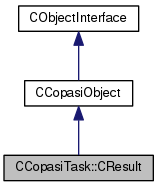 Definition at line 448 of file CCopasiTask.cpp.